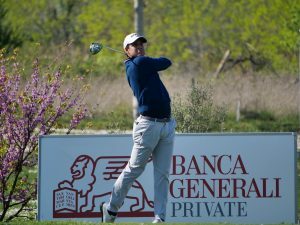 Xavier Poncelet, 33, is leading at -6 (66) after the first round of the Katameya Dunes Open, with one stroke advantage over Italian Luca Cianchetti and French amateur Victor Trehet. A new venue is hosting the final leg of the Egypt Winter Series, the Katameya Dunes Open, on magnificent Lakes course of Katameya Dunes, part of the Westin Cairo Golf Resort in New Cairo. 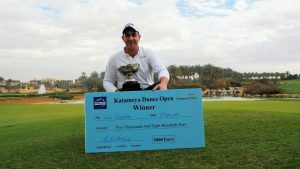 After the Dreamland Pyramids Open, played on Dreamland course and won by Austrian Lukas Nemecz, and the New Giza Open played on spectacular New Giza Golf and won by Italian Lorenzo Scalise, now the 125 players in the field at Katameya Dunes are competing in the last of the Egyptian series event for the 40,000 euros prize money and for accumulating precious points to climb the ranking. 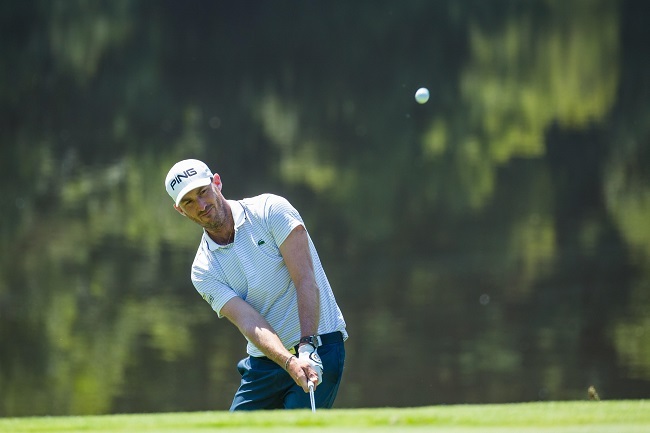 After the first round, the best of them all was experienced Frenchman Xavier Poncelet, 33, who was very consistent with three birdies on the back nine (he started from hole n. 10) and three more on the front nine, for a total of 66 (minus six). « I’m really happy about the way I’ve managed the course, there was quite a lot of wind especially towards the end and it was not easy. I did not make any mistake with the putting, when I was far away I’ve always two-putted, so I’m quite satisfied of my day. The course is very good, you need to avoid the bunkers because they’re pretty difficult, the sand is different from the other courses and you need to be patient on the green, they’re quite fast ». 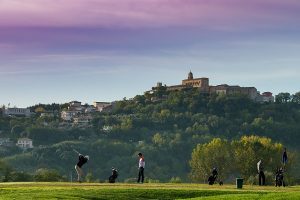 Two players are sharing the second position at -5, Italian Luca Cianchetti, 23 (8 birdies and 3 bogeys in his scorecard) and surprising French amateur Victor Trehet, 21 (7 birdies and 2 bogeys for him) who was playing in one of the last groups of the day. 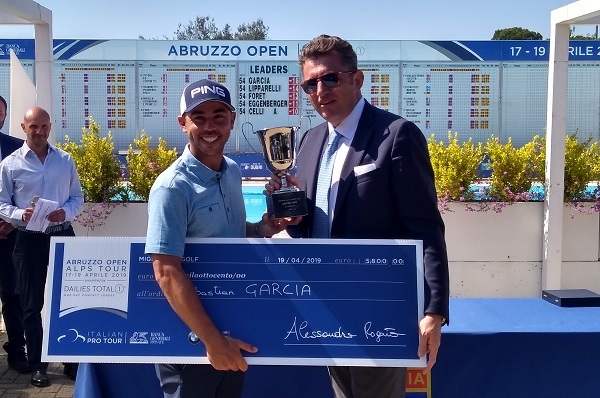 « I’ve started from hole n. 10 with a bogey but I’ve recovered straight away with two consecutive birdies wich gave me a lot of confidence » said Cianchetti, who in 2015 won the Abruzzo Open when still an amateur and the following year won the European Amateur Championship. « In fact I was able to hit the ball well from the tee, giving me many chances of scoring on this beautiful course. 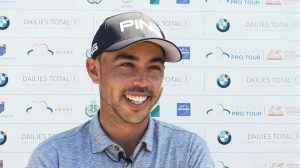 I love it, it is a bit more difficult than the two others we’ve played before here in Cairo – Dreamland and New Giza ; here you have more trees along the holes so I think you need to be more careful with your shots, and the greens are a bit faster and more complicated, with many slopes. Only 16 players finished their round under par ; tomorrow at the end of the day, only the top 40 and ties will be admitted to the final round to share the prize money at stake.